Parts used - Bark, leaves, flowers, seeds, gum. Uses - Flatulence (gas), Colic, Cough, Diuretic (promotes flow of urine), Snake bite, Skin diseases, Herpes (inflammation of skin with clusters of deep seated vesicles), Epilepsy (Chronic nervous disorder with attacks of unconsciousness and convulsions), Arthritis (Inflammation of joints), Piles, Constipation, Diabetes, Ringworm, Inflammation. 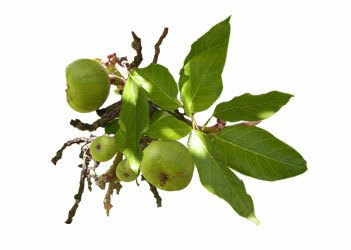 1) Ashwini Nakshatra - Poison nut. 2) Bharani Nakshatra - Amla. 3) Krithika - Cluster fig. 6) Arudra - Agar Wood. 9) Aslesha - Naga Champa.